These are exciting times for the recruitment industry. The exponential development of intelligent recruitment technology, a rapidly changing business landscape, and the pressure of an increasingly competitive global labour market are key drivers in a major transformation that is happening in our industry. We’ve seen the classic role of the recruiter evolve away from a traditional transactional and administrative ‘HR’ position, to become a marketer, storyteller, connector, career coach, and strategic consultant. 1. Candidate networks have become too large for an individual recruiter to effectively build & maintain. With hundreds of tools available for recruiters today, sourcing and finding talent is no longer the biggest challenge facing recruiters. Instead, maintaining meaningful relationships, with an unmanageable amount of candidates, has become the biggest problem to solve. Gone are the days of being able to rely on job postings and the company Applicant Tracking System (ATS) to fill jobs. Today’s modern recruiter requires a much larger candidate network (usually in the thousands and spanning the globe) than was required just a few years ago. How can a single recruiter effectively build and maintain thousands of relationships without cloning themselves? Everyone is doing it. Admit it, by necessity you’re already hacking your way around your company’s clunky, complicated, and confusing ATS using a combination of apps such as Google Drive, Excel spreadsheets, desktop folders, Outlook reminders (and more!) to access resumes, manage your tasks, and track your candidates. 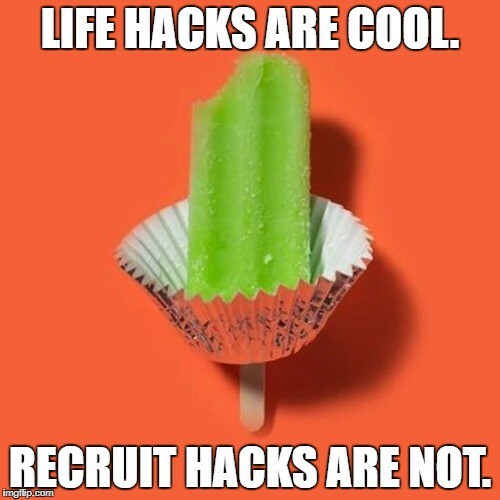 However, none of these ‘hacked’ apps are designed specifically for recruiters, causing headaches and time wasting. Even the best Recruit Hacks are inefficient and unreliable. The traditional model around candidate ownership and how recruiters use candidate databases — usually in an Applicant Tracking System (ATS) — has not changed. Today, recruiters are still forced rebuild a new candidate database in an ATS from scratch every time they change jobs. 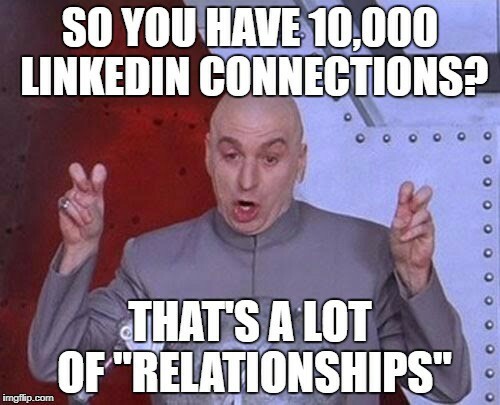 Sure, a recruiter can take their LinkedIn account with them, but it’s not designed to be a candidate database and it has major limitations such as lack of phone numbers, resumes, conversation history, and notes. Continuously having to rebuild a candidate database is incredibly inefficient, and makes it very difficult for recruiters to track, manage, and build the long-lasting relationships with candidates that have become critical in today’s highly competitive labour market. Additionally, the new employer isn’t able to realise the full value of the ‘digital rolodex’ a recruiter brings when they hire them. The vast majority of recruitment software is still being designed for a traditional ‘HR Recruiter,’ failing to meet the needs of today’s recruitment market. The modern recruiter needs to adopt a marketing mindset to be competitive in today’s labour market. Yet, the lack of affordable, high-quality, marketing-inspired recruitment technology means most of us are stuck using archaic HR tools to perform what truly is a marketing role, negatively impacting on recruitment performance, personal branding, and the candidate experience. I co-founded myRecdex because I believe that these major industry problems need to be solved ASAP. We’re building the world’s first AI-driven candidate engagement platform designed specifically to meet the needs of the individual modern recruiter — allowing them to future-proof their careers and fill more jobs. As recruiters ourselves, we are on a mission to empower individual recruiters with access to awesome technology that works for us. Learn more about us at www.myrecdex.com and join our mission by signing up to gain exclusive access to myRecdex BETA.